638. Napoleon’s retreat from Moscow. 19th century. Unsigned. Oil on canvas. Overall size 22in by 24 1/2in(56cm by 62cm). 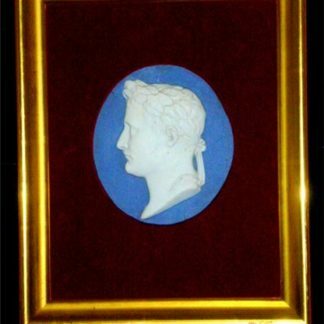 Bisque Profile of Emporer Napoleon.